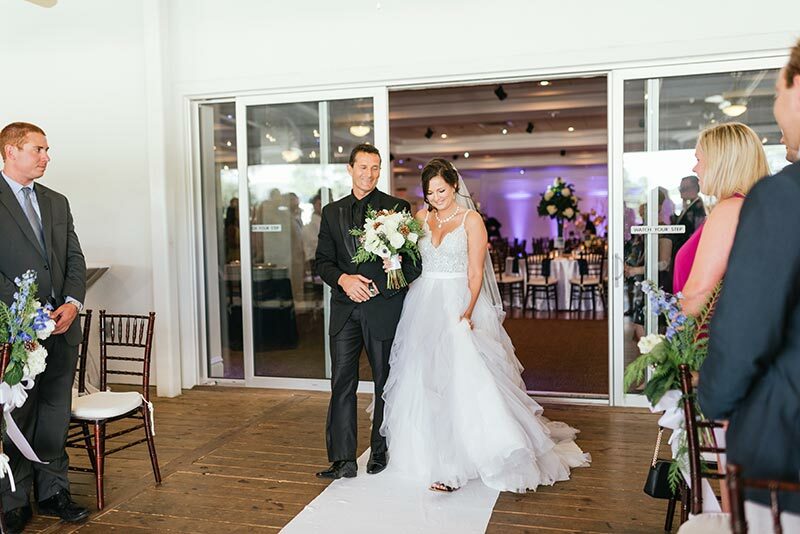 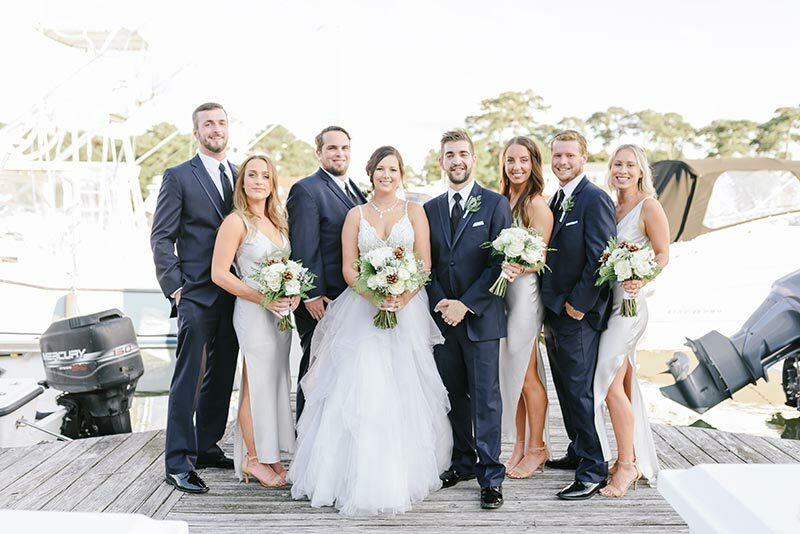 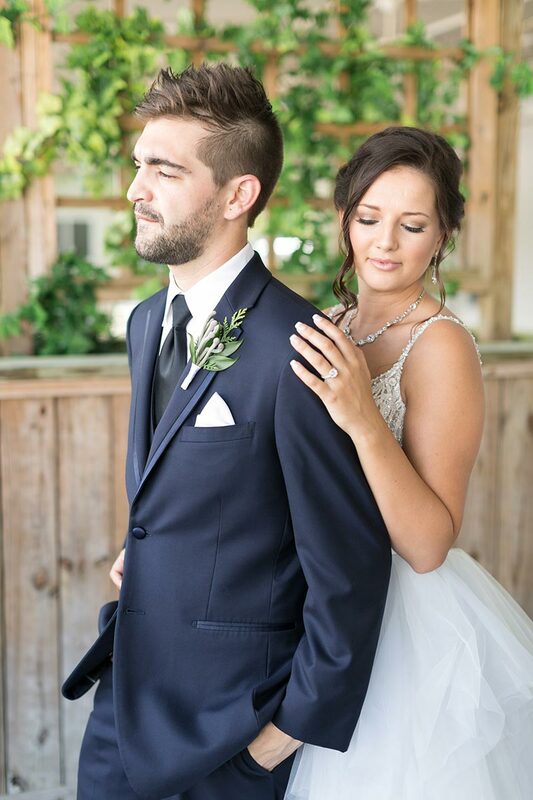 Sarrcha & Philip are from Australia and wanted their winter wedding in July at The Yacht Club at Marina Shores in Virginia Beach! 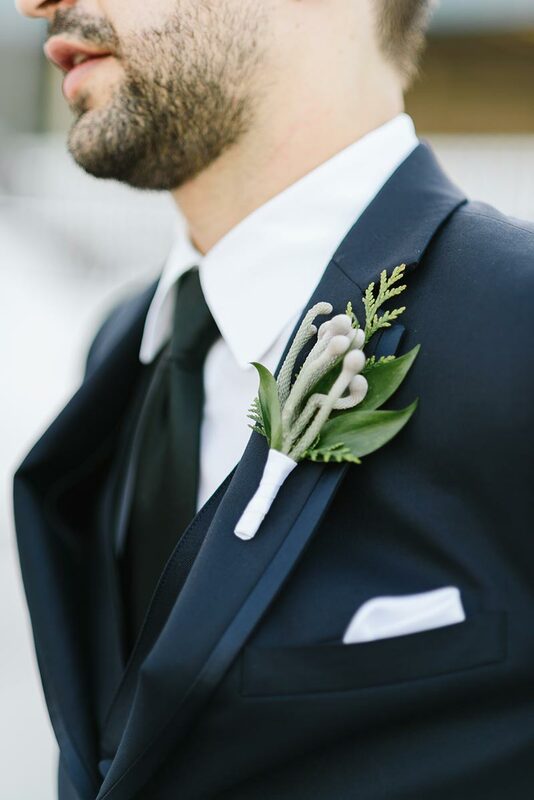 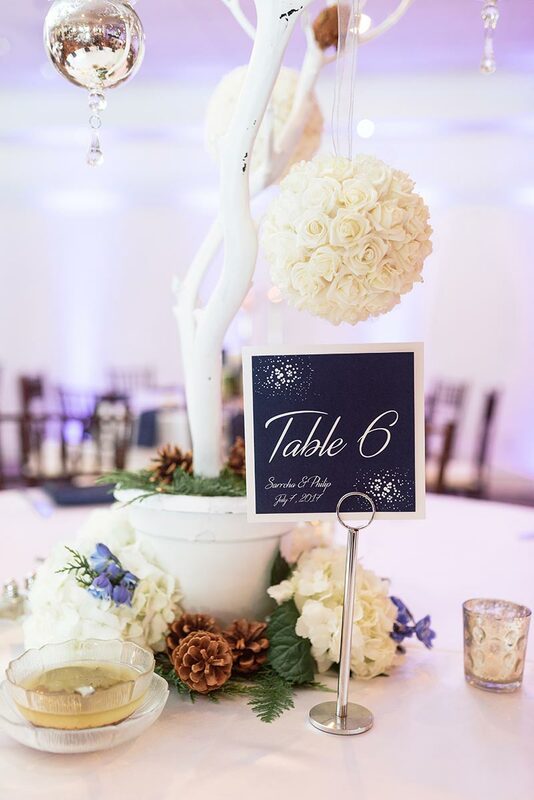 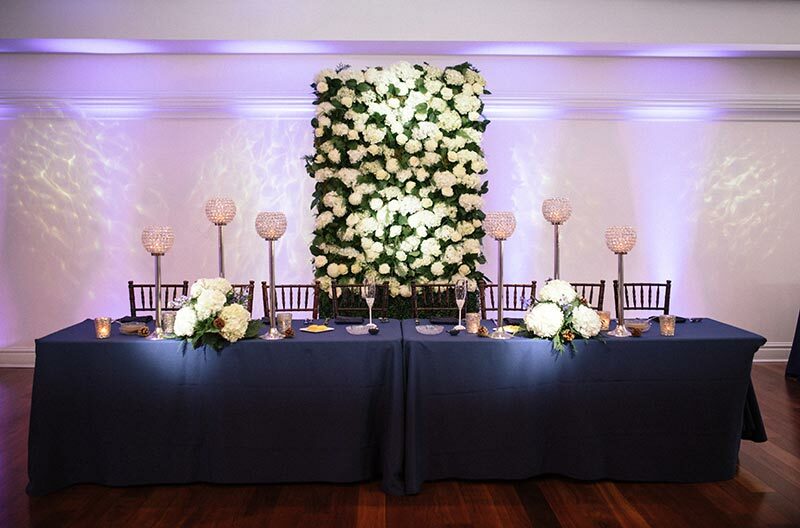 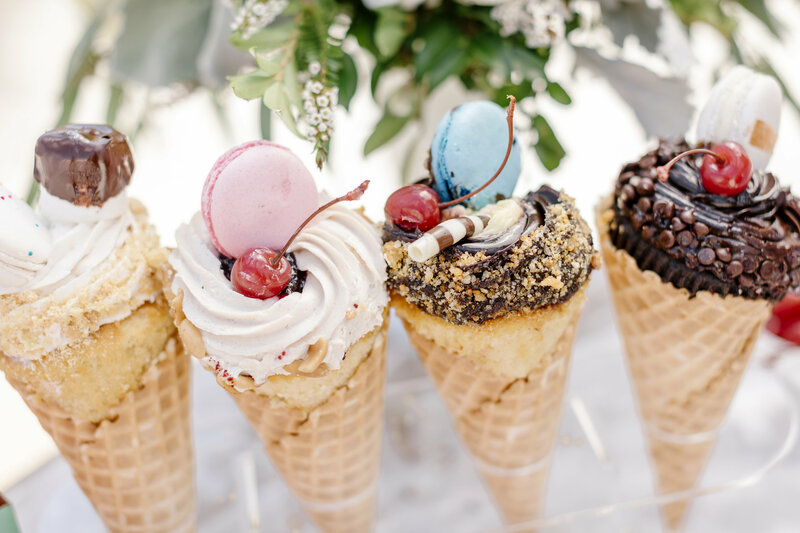 We created beautiful winter florals to help bring their vision of a cool toned event in the heat of a July Virginia summer to life! 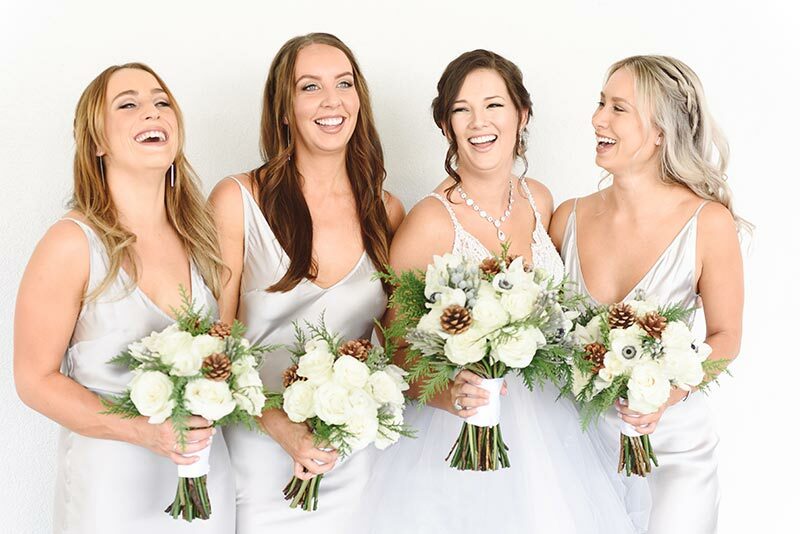 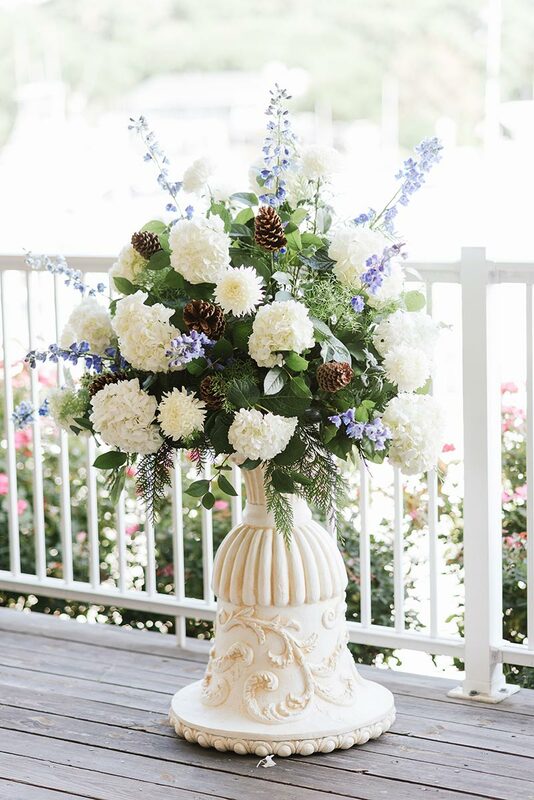 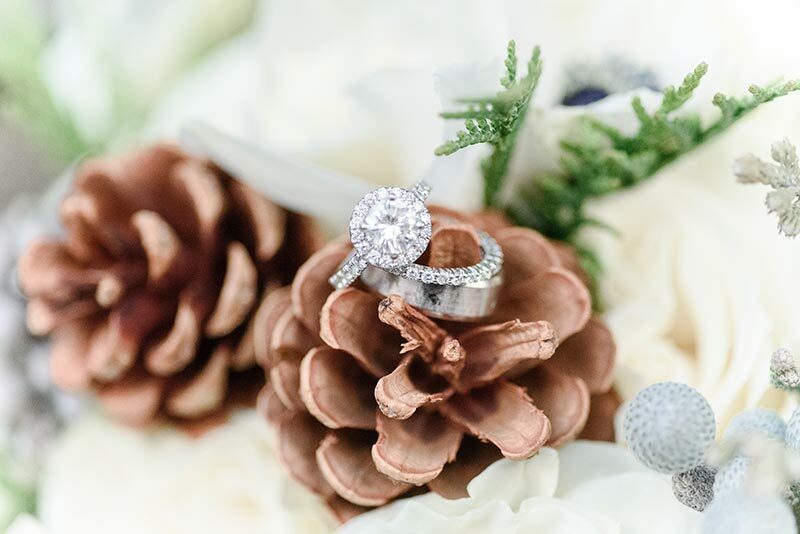 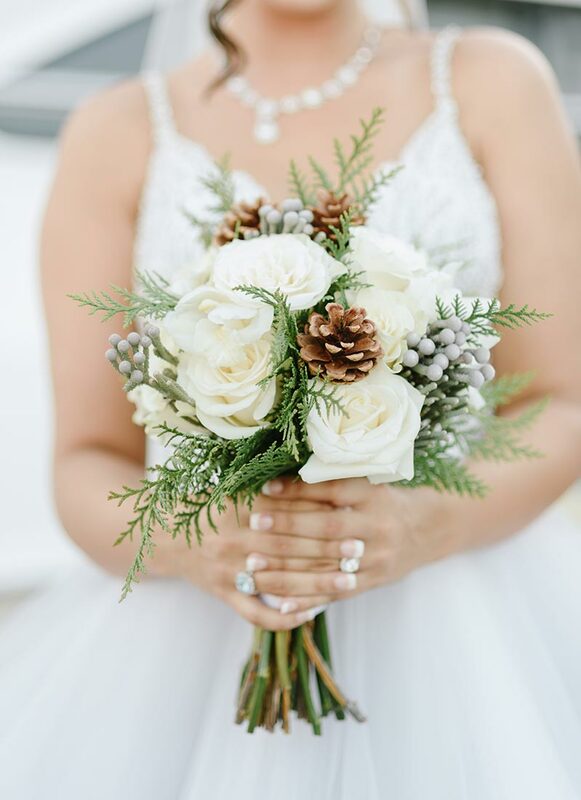 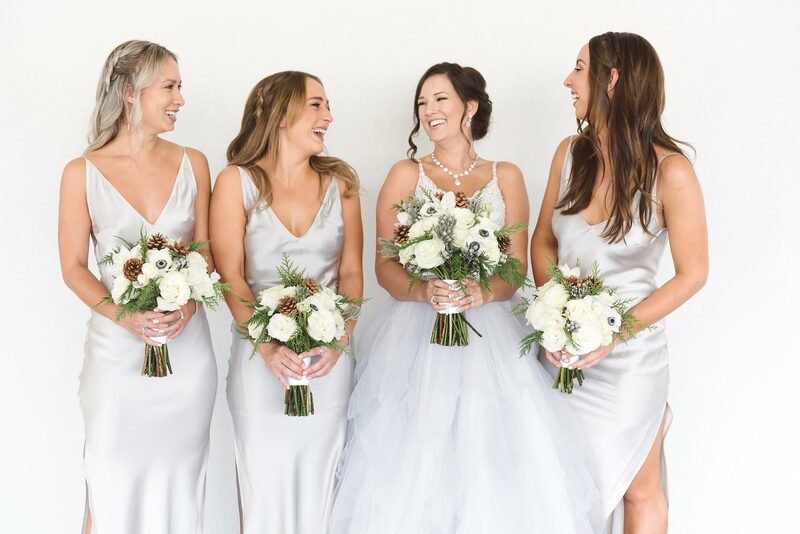 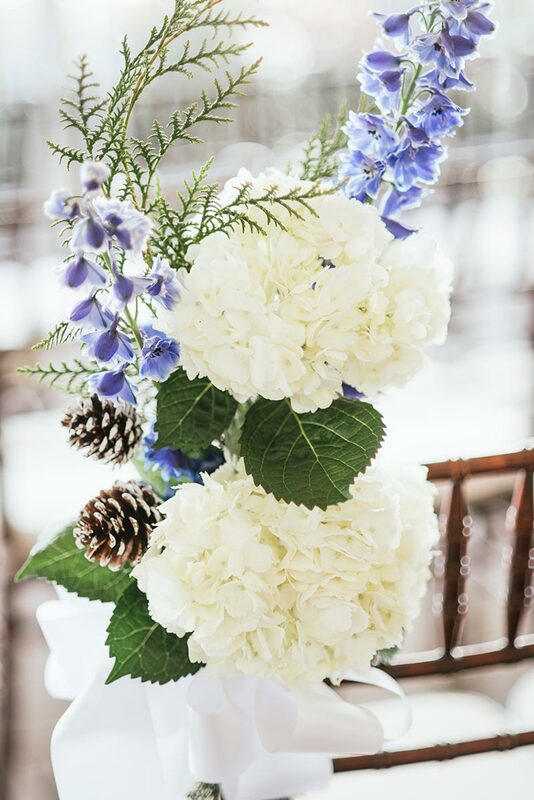 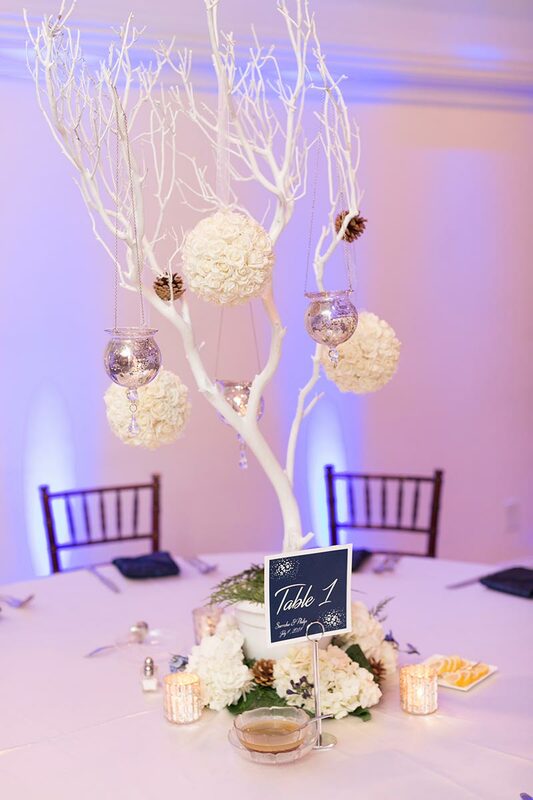 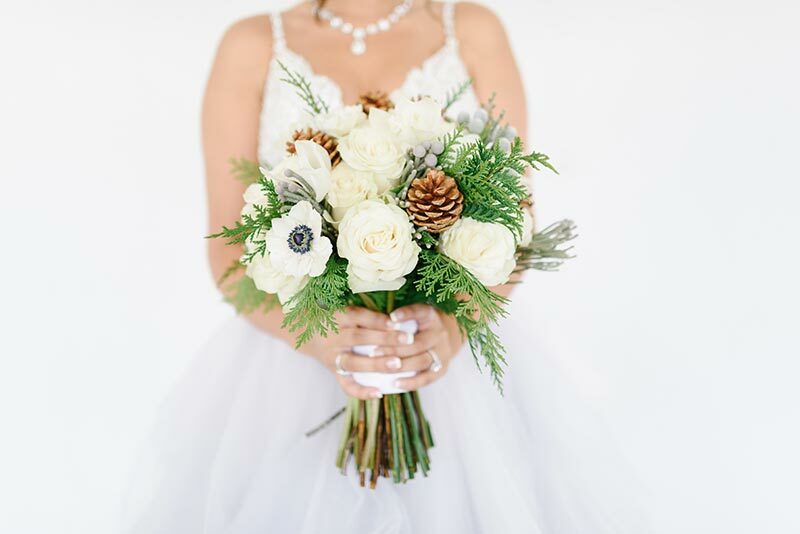 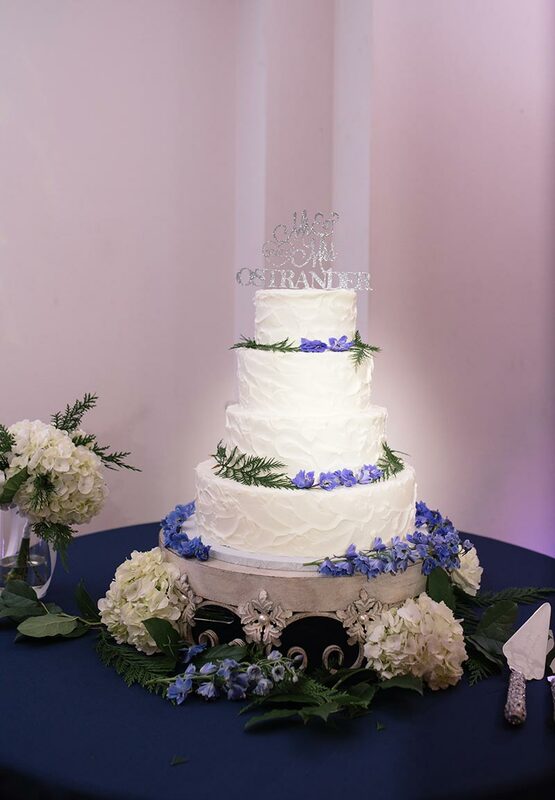 The bride chose a bluish colored wedding gown with crystal detailing to compliment her winter theme and we create their florals using pinecones and white hydrangeas. 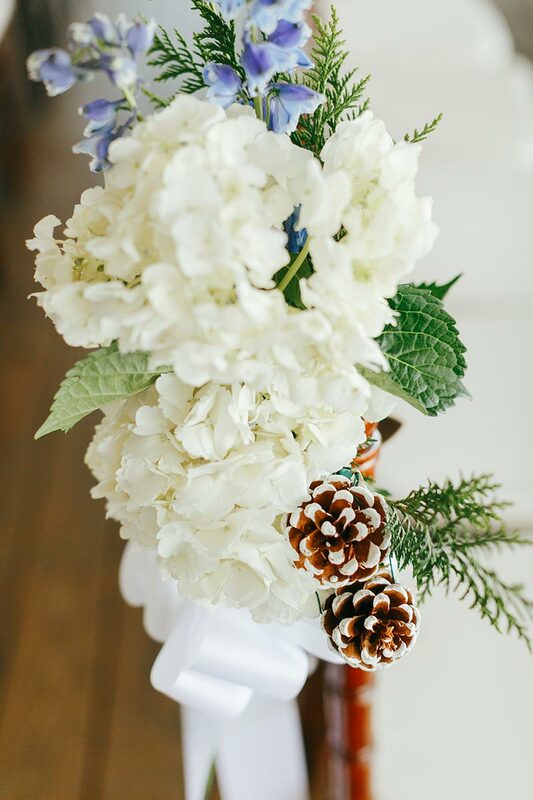 To give it that billowy snow looking feel.